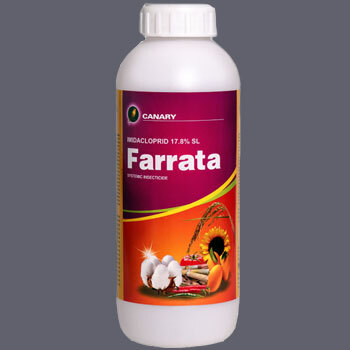 FARRATA is systemic insecticide containing Imidacloprid active ingredient, balance auxllanes and then materal. It is used as a foliar spray for the control of sucking and some other insects in different crops. When handled property according to good agriculture practices it is suitable for use in Integrated Pest Management.